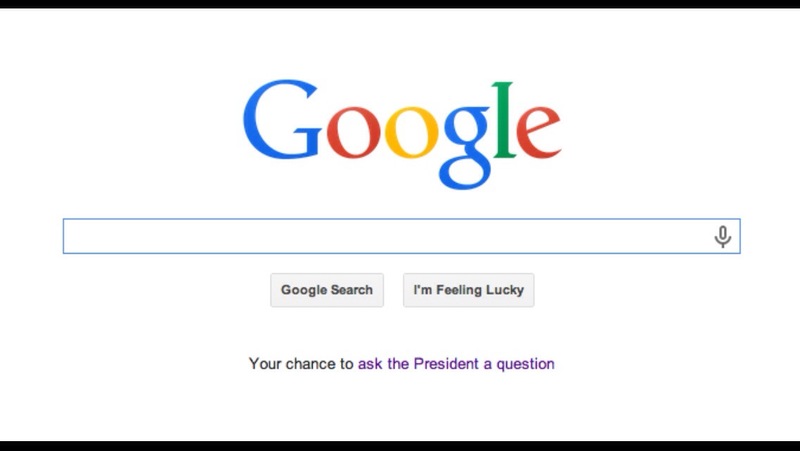 The Google home page currently has a link to ask President Obama a question in a Google+ Hangout. That’s some mighty popular online real estate devoted to citizen engagement. The first presidential hangout featured real questions from citizens. I hope this one is up to the same standard. 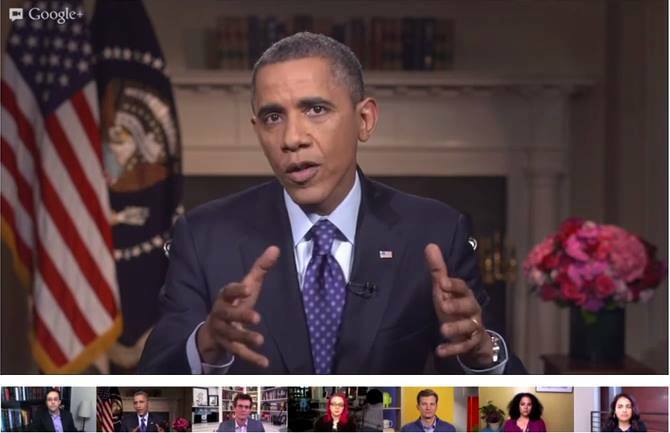 You can see publicly shared questions on the #AskObama2014 hashtag on YouTube or Google+. More details on the “virtual road trip” with President Obama are available at the official Google blog. We are, once again, living in the future.